A patriot has stepped up to provide a much needed service to rural areas of America. Rodney Ballance, Jr., President of Patriot Broadband, LLC and a veteran of the U.S. Air Force, announced today that he has partnered with a group of investors to create America's only internet Service Provider franchise company. Using the successful model of a hybrid fixed wireless and fiber optic internet provider, the group has formed Patriot Broadband Franchise, LLC. to provide high-speed internet (broadband) to rural areas of America. According to the Federal Communication Commission, almost 40 percent of rural Americans don't have access to the minimal standard for broadband internet. This franchise company allows people who live in areas impacted by the current crisis to purchase a franchise, and have the group assist them with setting up a broadband connection for their communities. Patriot Broadband will provide these communities with a direct link to the "backbone" of the internet, just like services in the city. Franchisees will then install service to residential and business customers within their territory resulting in the creation of hundreds of jobs, but also provides access to affordable, unlimited high-speed internet to millions of Americans. These locally owned franchises will provide access to online education, healthcare, news and entertainment, and allow rural citizens the opportunity to work from home. "The rural folks have been left out, including broadband internet access, which they don't have….and they want it, and the farmers want it," said President Donald Trump on February 11, 2018. Ballance stated that they can't wait on Government to fix this, and it's not profitable enough for large corporations. Throughout history, whenever Americans are in need, Patriots always step up and get the job done. Ballance went on to announce that preferential treatment will be given to fellow veterans who have the desire to own a franchise. In addition, Patriot Broadband will donate a portion of every dollar earned to the Wounded Warrior Project. Senator Roy Blunt posted on Twitter August 8, 2017 that, "Nearly two-thirds of rural Missourians don't have access to broadband. That needs to change." Patriot Broadband is currently accepting applications for potential franchisees as well as individuals and businesses seeking a new choice for rural internet service. This is not a satellite internet company. Patriot Broadband's mission is to bring reliable, fast, affordable and secure internet connections to rural and remote communities, and is America's only hybrid wireless internet service provider and a franchise company. Using advanced fiber optics and radio wave frequency, a strong and fast signal is delivered to customers through small routers and transmitters. Jeff Smedsrud, CEO of public policy organization Communicating for America (CA) added that, "There's an immense amount of work to do to get even close to rural/urban broadband equity." 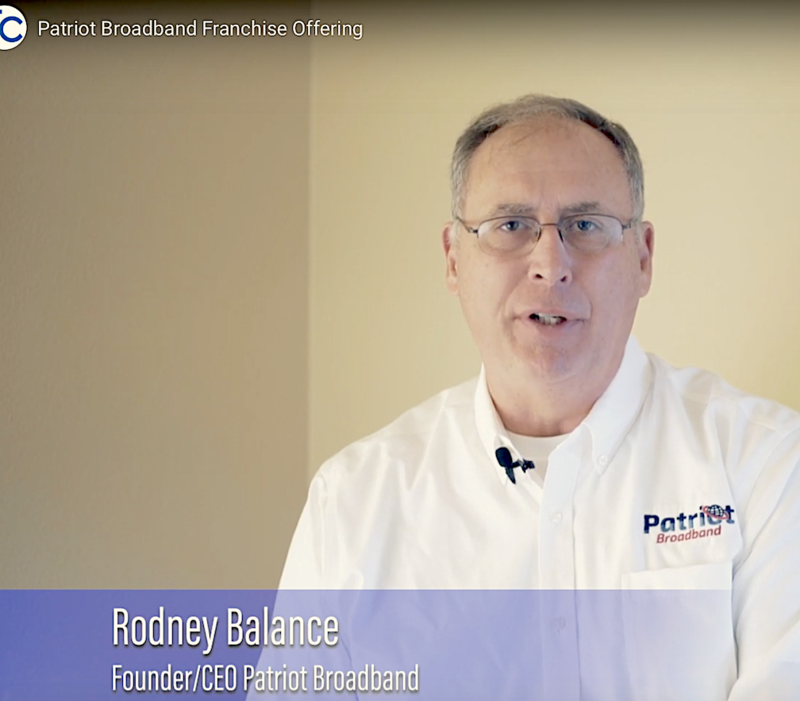 Founded by U.S. Air Force veteran Rodney Ballance, Jr., Patriot Broadband offers franchisees an investment opportunity that will also be an investment in their community.